We design, procure, and install television studio systems. 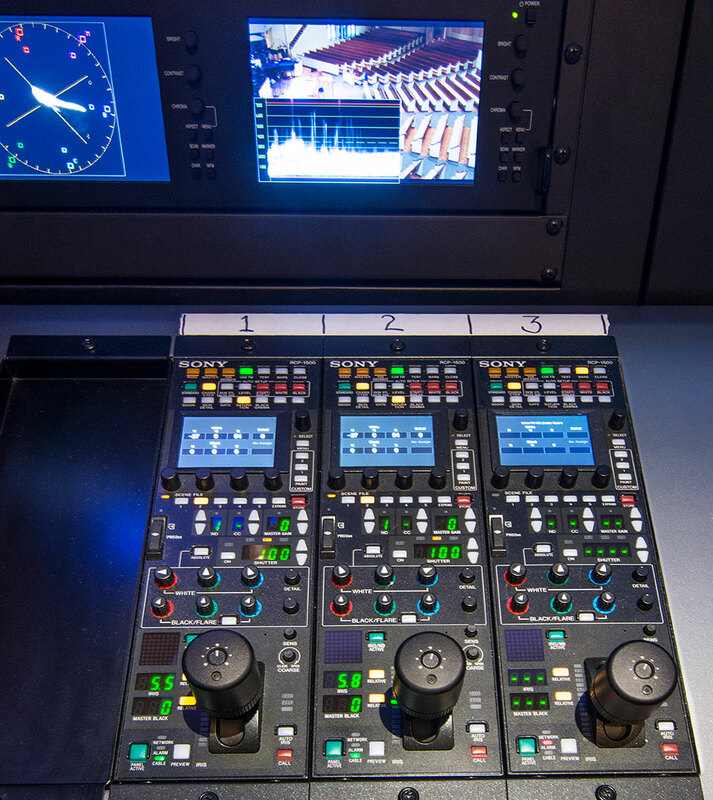 From video acquisition to post production, we have the right cameras, monitors, tripods, recording devices, servers, storage, editing, lighting, and video management systems you need. We specialize in High Definition Production and Post Production facilities for broadcast, education facilities, professional and major college sports teams, houses of worship, and commercial enterprises. Whether you just need a camera or a master development plan, we can help.